Ashley is PolishAddicted: The Digit-al Dozen Does Childhood - Day 1: Tetris! The Digit-al Dozen Does Childhood - Day 1: Tetris! Good evening! Today starts off another Digit-al Dozen Week! This month's theme is childhood. 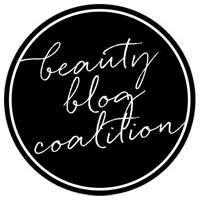 Today was a hectic and stressful Monday so this post will be short and sweet! I decided to take inspiration from my own childhood. I loved Tetris as a kid (heck, I still love it!) 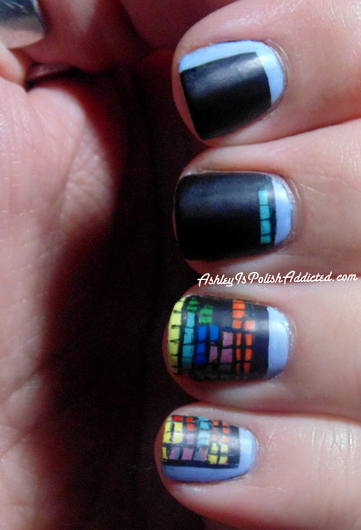 and I have wanted to do a Tetris mani for awhile so this seemed like a perfect fit. I'm not 100% happy with how this turned out but since I haven't done nail art in a while and I'm a bit rusty, I guess it's not too bad. I used a plain black creme base and all of the rest of it is acrylic paint. I topped it off with a fast dry top coat and Cult Nails Wax That top coat. Make sure to check out all of the other lovely ladies in the links below! Love it! Tetris is AWESOME! Tetris is the shiz! So is this! Fantastic nails! I spent more time than I want to admit publicly playing this game lol! We were all hooked on Tetris when I was a kid. In fact we ended up buying a second (and third) Gameboy just so there wouldn't be so many arguments over it. I am so bad at Tetris but definitely used to play it on my computer when I was growing up as well! I never really got into Tetris. But your design is great! This looks so cool! I love tetris! And I have this game on my phone now. I love this...so perfect :) I can hear the song in my head just looking at this! Awesome!! Tetris was always one of my favorites!! I love the detail of this one. It is perfect! I used to love to play Tetris.